It’s the best part of every muffin! 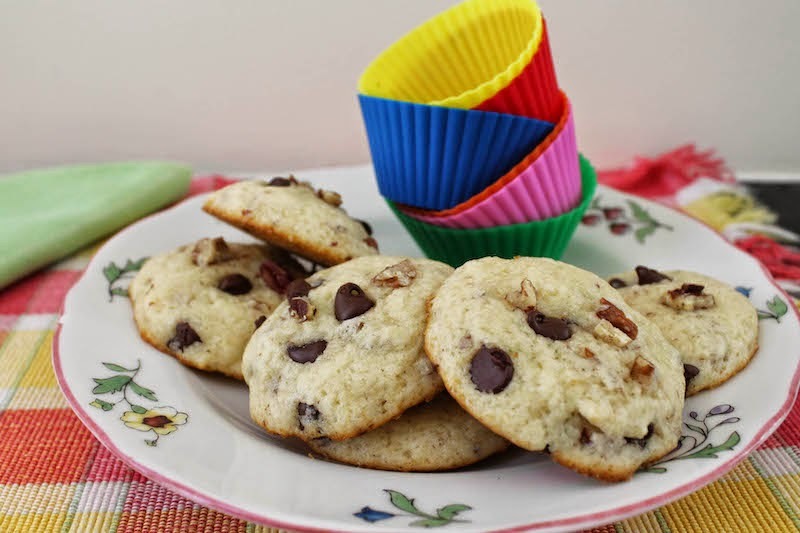 For those who like to eat the tops off of muffins and leave the rest, I give you Muffin Top Cookies with semi-sweet chocolate chips and chopped pecans. 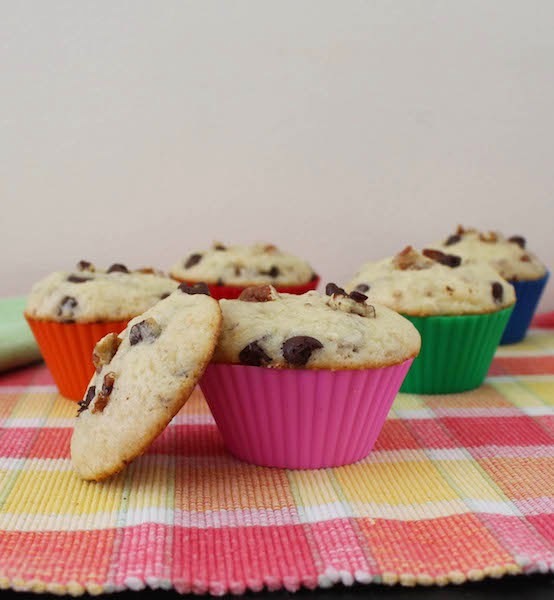 It’s Monday so usually that means muffins are baking at my house but today Muffin Monday and Cookie Week collide in a subtly spectacular fashion with Muffin Top Cookies. All the best of both worlds! If you’ve been around here for a while, you know that Cookie Week is the fabulous five-day celebration hosted by Kim of Cravings of a Lunatic and Susan of The Girl in the Little Red Kitchen, who, by the way, also has a commercial kitchen and will ship her delicious cookies right to your door. I participated in the inaugural Cookie Week last year and it was such fun that I begged, "please, pretty please," to be allowed to take part again. It's a great group of bakers – a dozen all told – and we'll be bringing you delicious cookies all week long! And, as if cookies weren’t enough, we’ve got prizes as well! 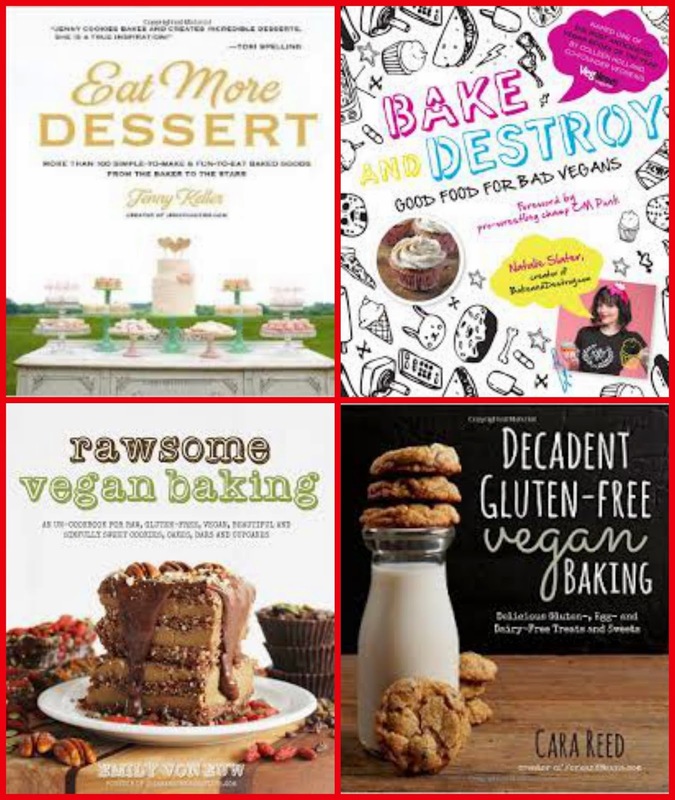 Make sure to scroll down to the bottom of the recipe for links to all the participating cookie bakers, check out the wonderful prizes and enter the Rafflecopter for a chance to win. Our sponsors for this event have provided us with some great prizes and we'd like to extend a HUGE thank you for their generosity. Thanks to Imperial Sugar, Circulon, Peanut Butter & Co. and Page Street Publishing for being a part of Cookie Week! 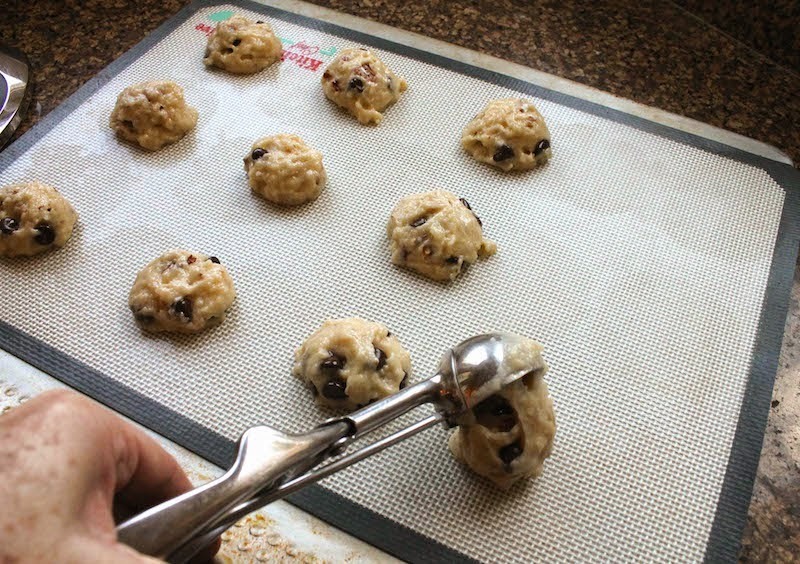 Preheat your oven to 375°F or 190°C and prepare your cookie sheets by lining them with parchment or silicone liners. 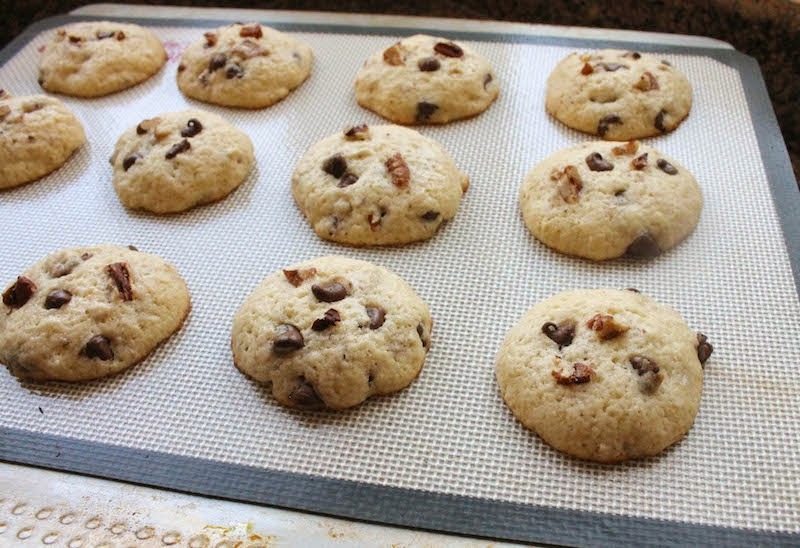 Measure out your chocolate chips and pecans then set aside a small handful of each to decorate the tops of the cookies before baking. 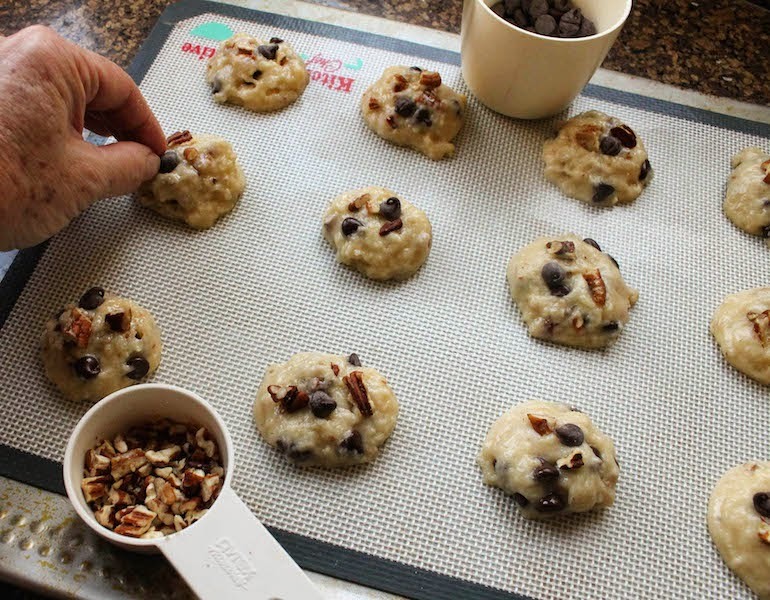 In a large mixing bowl, combine your flour, sugar, baking powder, chopped pecans and salt. 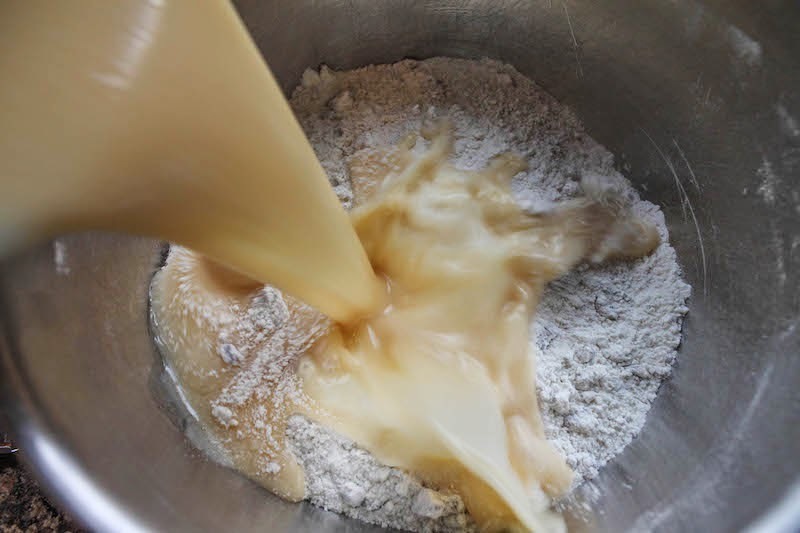 In a medium bowl, whisk together your milk, oil, egg and vanilla. Pour your wet ingredients into your dry ones and stir until just mixed. 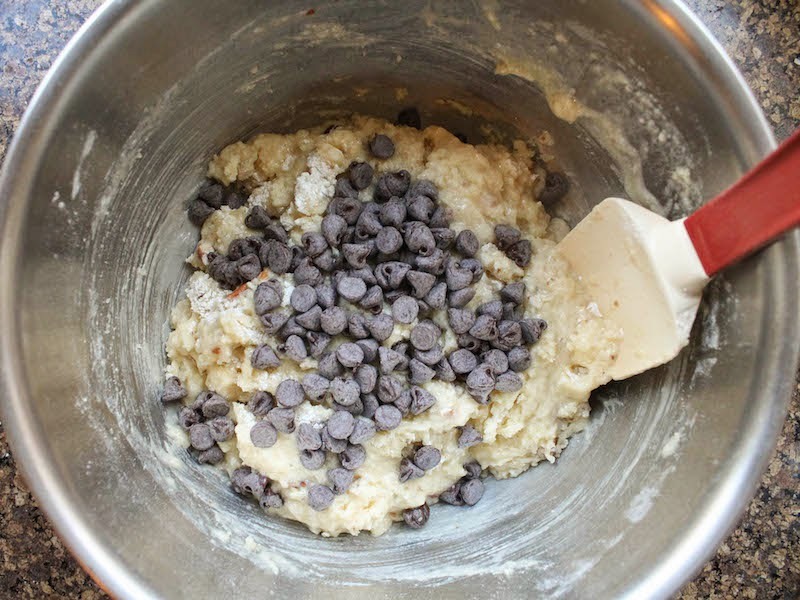 Poke a few of the reserved chocolate chips and pieces of pecan into the top of each. 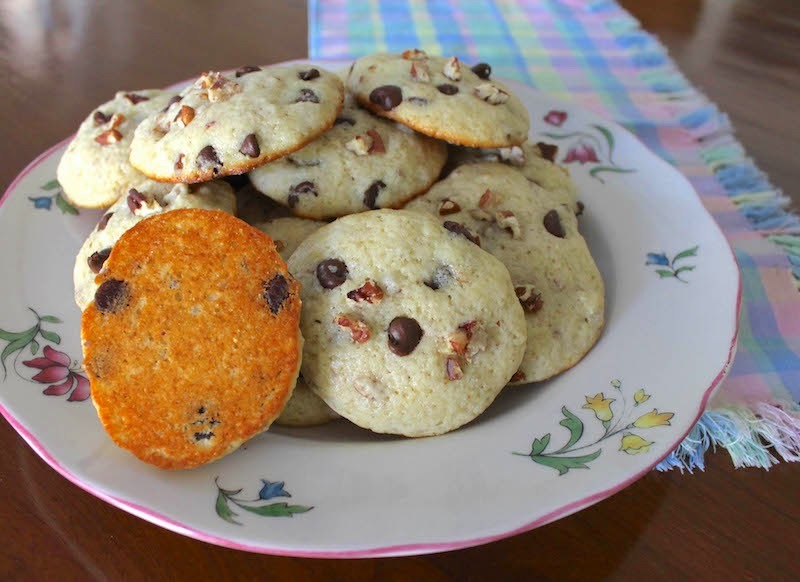 Bake the muffin top cookies for 8 to 10 minutes or until the edges are a light golden brown. Cool for a couple of minutes and then use a spatula to transfer the cookies to a wire rack to finish cooling. 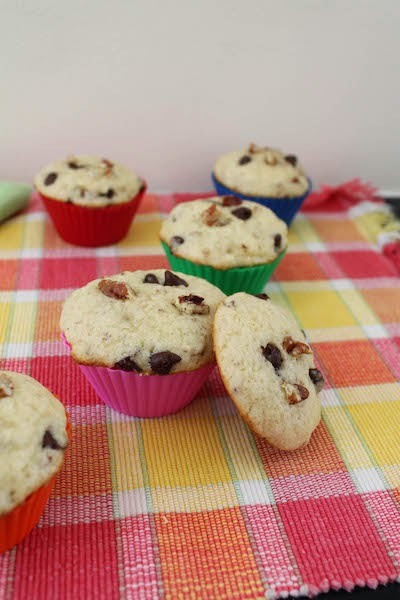 These turn out cakey and very much like a muffin top! Enjoy! Are you ready for some more warm COOKIES?! How about some hot baking PRIZES?! One winner takes all! Mandatory Entry: Leave a comment telling us what your favorite cookie is to bake during the holidays. Additional ways to enter will be then be revealed in the Rafflecopter widget. 1 (one) lucky person will win ALL the prizes listed above. The winner will be randomly chosen through Rafflecopter. This giveaway is open from Monday, November 3rd, 2014 to Monday, November 11th 11:59 EST to US residents only. The winner will be contacted via email and will have 48 hours to respond, at which time a new winner will be drawn. Good luck! My favorite cookies to bake for the holidays is a frosted shortbread cookie.